Dr. Hicks Professor and Director of IHC-ISH Laboratory and Breast Subspecialty Service at URMC. His innovative approaches to improving efficiency and quality in surgical pathology have been highlighted in publications and invited lectures sponsored by national pathology organizations. He has implemented a subspecialty-based surgical pathology system, combining disease-specific diagnostic and prognostic expertise with translational research based on organ systems and disease categories. As a member of the Ad Hoc Committee on Immunohistochemistry Standardization, and co-author of their consensus recommendations, he is a leader in the emerging effort to achieve the full potential of immunostaining as a tissue-based quantitative ELISA test. He has been appointed to an ASCO/CAP panel that is developing national guidelines on estrogen receptor testing in breast cancer, having served recently on a similar panel that made important recommendations to improve HER2 testing in breast cancer. Dr. Hicks' first research interest was in bone pathology. He received NIH funding to study the effects of lead on the epiphyseal plate, and collaborated on related studies with faculty in the Department of Orthopaedics at the University of Rochester. He published extensively on metabolic and neoplastic bone disorders. 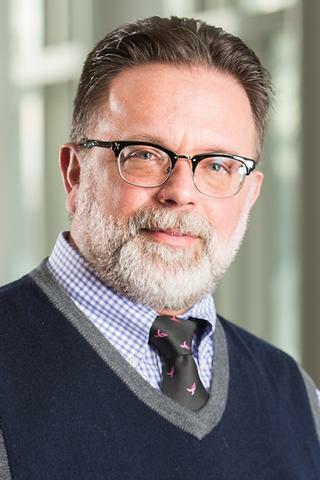 While Director of Surgical Pathology and Co-director of the Morphologic Molecular Pathology translation research resource at the Cleveland Clinic, he expanded his interests in breast pathology, with particular focus on prognostic molecular markers and development of advanced tissue-based diagnostic techniques. His current clinical translational research interests focus on molecular risk factors for breast cancer and preanalytical variables that affect the accuracy of new diagnostic technology in surgical pathology. Award in Honor of George H. Whipple, M.D. Wang X, El-Halaby AA, Zhang H, Yang Q, Laughlin TS, Rothberg PG, Skinner K, Hicks DG. "p53 alteration in morphologically normal/benign breast luminal cells in BRCA carriers with or without history of breast cancer." Human pathology.. 2017 Oct 0; 68:22-25. Epub 2017 Apr 21. Turner B, Tang P, Hicks D. "The value of algorithms predicting the Oncotype DX recurrence score should not be underestimated!" Breast cancer research and treatment.. 2017 Jul 0; 164(1):249-250. Epub 2017 Apr 13. Turner BM, Hicks DG. "Pathologic diagnosis of breast cancer patients: evolution of the traditional clinical-pathologic paradigm toward &quot;precision&quot; cancer therapy." Biotechnic & histochemistry : official publication of the Biological Stain Commission.. 2017 92(3):175-200. Epub 2017 Mar 20. Edited By: Shi S, ed.